Welcome to the USS Dauntless NCC-74214. What is the USS Dauntless? The Dauntless is a Star Trek fan club based in Cape Town, South Africa. We're a Starfleet-style club, complete with ranks, titles and uniforms. 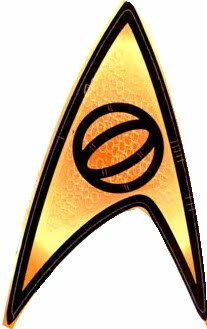 We're also a chapter of STARFLEET The International Star Trek Fan Association Inc. STARFLEET is the largest Star Trek fan club in the world, and being one of their chapters connects us to hundreds of other Starships, and thousands of other members across the world. The Dauntless is designated as a "correspondence chapter", which means that the bulk of our official activities take place online. But groups of crew-members in a number of cities around the world get together often for social events and Away Missions like game days, hikes, camping trips, paintball, picnics, movie nights and lots more! Our crew-members have the opportunity to earn rank promotions by volunteering for service at the chapter, region and fleet level, or simply by engaging with their crew-mates in day-to-day activities aboard ship. We're not a role-playing group. Although some of our members do enjoy some role-playing games from time to time, our ranks and titles are earned through real-life activities, not just by pretending. We're not a cosplay group. Our members take great pride in the uniforms they wear, after having spent, in some cases, decades earning the privilege of wearing them. Although some among us do enjoy cosplaying from time to time, our uniforms are professional attire, not costumes. We're not a business. The Dauntless is a non-profit, volunteer organisation. We charge no membership fees, and all our expenses are paid for by anonymous donations by some of our members. The Dauntless does have affiliations with several for-profit businesses (such as our official headquarters, equipment fabrication supplier, FairyFountains), but the Dauntless itself will never charge a fee. Why Call It The "USS Dauntless"? SFI, as a Starfleet-style club, uses the fictional taxonomies as seen in Star Trek as the organising metaphor for its internal structures. Specifically, SFI chapters are referred to as "Starships", and their chapter-presidents are referred to as "Commanding Officers". There's no actual space-vessel called the USS Dauntless. That name refers to the metaphorical concept of the ideological and organisational structures that bind us together as a group. The "Starship" isn't a ship at all, it's the crew. The ship's appearance and technical specifications are an extension of the metaphor, that help us to define various thematic elements, including which set of uniforms our crew are required to wear. Our name was taken from the first Pirates of the Caribbean film, named for the British warship depicted. As homage, we have adopted the pirate theme in our naming and insignia. 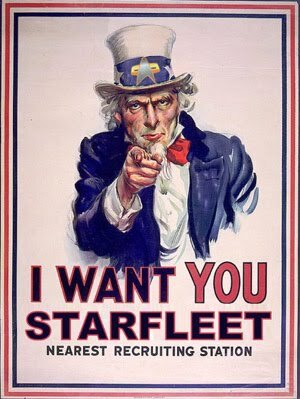 If you're interested in enlisting with the USS Dauntless, and joining us for the great human adventure, visit the Join page and fill out the enlistment form. We're looking forward to welcoming you to the Dauntless family! If you have any additional questions regarding the USS Dauntless, feel free to contact our Commanding Officer, Rear Admiral Owen "Blackbeard" Swart, directly. Crew Reassignment: Johan van Greunen Effective as of Stardate [-27] 09329.2, the following appointment is in effect:PO3 Johan van Greunen, Science Technician, is appointed to the position of Science Officer (Science Department). 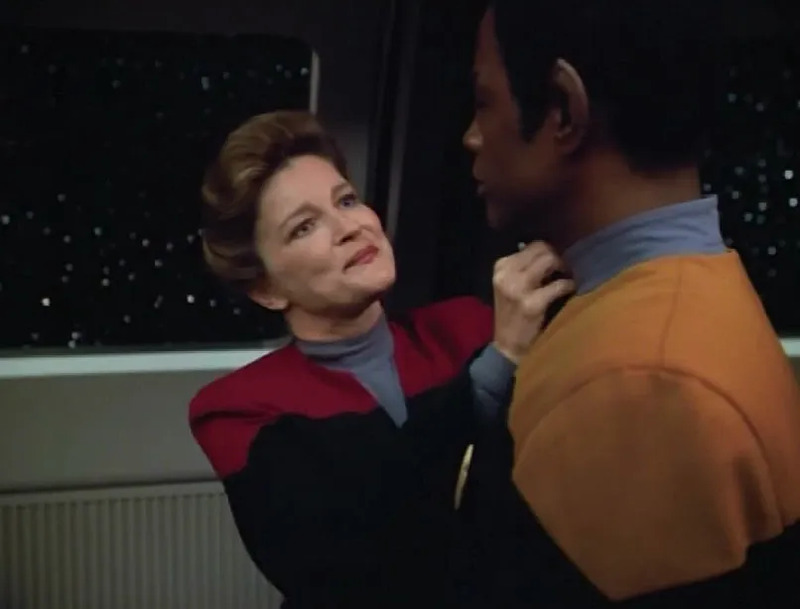 Crew Reassignment: Rachel Martin Effective as of Stardate [-27] 09246.6, the following appointment is in effect:LT Rachel Martin, Science Officer, is appointed to the position of Chief Science Officer (Science Department). New Crew-member: Neil Quantrill As of Stardate [-27] 09187.4 Crewman Recruit Neil Quantrill has begun his tour of duty aboard the USS Dauntless NCC-74214.